Happy New Year! 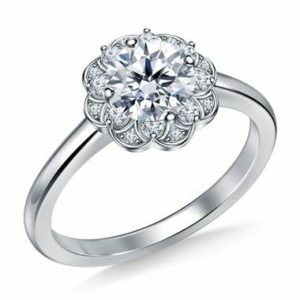 Last year you had love on the mind because your top three, most viewed rings of 2018 were all engagement rings. So, let’s jump right in and see which engagement rings captivated you for 2018! Simple and timeless, you all fell in love with this beautiful diamond solitaire. 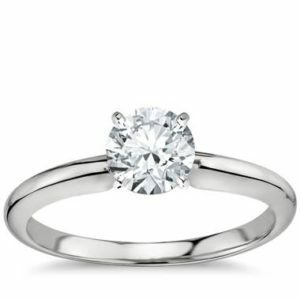 It’s a fantastic choice because the prongs’ slim profile enables the center stone to be shown off to its maximum beauty while keeping the ring as secure as possible. Florals were a big inspiration in jewelry trends for 2018. The floral-inspired halo brilliantly showcases an exquisite center stone. You agreed because this look was one of your favorite engagement ring trends and pushed it into second place for 2018. Wow Pricescopers, you have excellent taste! This ring is a definite winner. 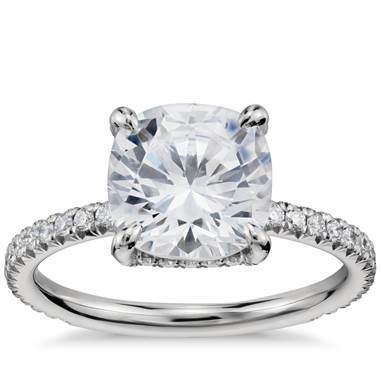 We love the delicate French pave-set diamonds on the band combined with a cushion cut center stone. This is the first time in recent memory when a fancy cut edged out the classic round solitaire as your top selection. Can we expect to see more fancy cut engagement rings in 2019? There you have it! Your favorite engagement rings for 2018. Which pieces do you think will make the grade next year?